losing baby weight | escaped. A friend asked me this recently. "So have you lost your baby weight?" I'm guessing she wants to know if my current weight is back to my pre-pregnancy weight. That was when I realized; I have no idea because post-labor, I haven't even stepped on a scale yet! 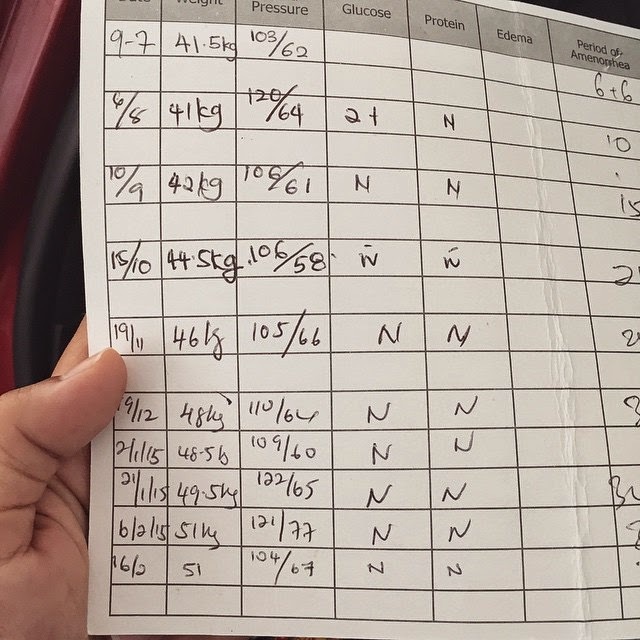 So after leaving Penang (yes I'm back in KL woohoo) I made a mental note to take out that old weight scale we have in the store in our house. It's really really old and worn down because we hardly use it, even while I was pregnant -_-"
During those days, I figured there is no use measuring weight when the scale at my gynae's office worked so much better. And why do we need to do the same thing twice, anyway? The result will still be the same i.e. me gaining weight week by week lol. To be fair, I think I did watch what I eat during pregnancy - in an effort to keep fit, I didn't really believe in "eating for two" myth. I didn't take a lot of veggies either, but my husband and I kept our fridge full of fruits every week without fail. I think that's about the healthiest thing I went for, during pregnancy. So today, while Rayyan was napping I took out the scale and stepped on it. Since I started pregnancy at 41.5 kg, I thought it'd be good enough for me if I could at least maintain around that figure. 41 KILOGRAM. It's even better than before I was pregnant HAHA. Having said that, the little stubborn pooch is still there so my next quest is getting a flat tummy back. Baby steps, insyaAllah!